Elva D. Green had the most liked content! You know, I suspected the "Cynique" angle, but wasn't sure. Could have just been your real name. Funny but my family sees me as a "resident optimist". It's just me through and through. My purpose for joining this site was to be a part of a book discussion group (initially for my book). I chose AALBC because I liked Troy's email newsletters and because it is a Black site. I decided to check into the "culture, race and economy" section and "be a part of". Looks like it's not for me. From now on I will just stick with the Literature board. Thank you for telling me the name of the game. Hm, maybe I'll try the Blogger section. @CyniqueYou say "here we are", "enabling white supremacy", "going along, to get along". Who is "we". Maybe you see my statements as platitudes and you dismiss them, which is your business. But what I write on this site holds just as much weight as what you write. And I suggest that you consider ending your sentences with an upbeat slant. Couldn't you just leave it at "But I commend you for being positive"? And, I'm sorry, but I am confused about one thing, I am confused about your use of Troy's saying that it's more about class than race. Well, doesn't having class include being positive and not caring to hurt others? 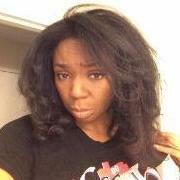 isn't class about tolerating people with whom we do not agree? I believe that being aware of our greatness and progress as a people ought to be foremost in our minds. @@Cynique I have some idea of why various statues were erected. Of course, it is possible that these statues could have been erected as symbols of defiance. However, I do not have a desire to shatter the figures of their heroes in order that they might ruminate in their resentment from another defeat. I am not looking to rub my hands together while watching them be taken down a peg. I understand that you do not care to change their minds. My point is can we as Black people use the energy that produces our anger over what "they" did to elevate ourselves. I have not advocated tolerance of their ideals. If you see leaving the statues up as a form of tolerance, that is your way of thinking. I'm just saying we ought to erect some symbols, too. Let's focus on our pride. Instead of creating piles of debris and making a mess by smashing statues, let's do something productive, celebrate a Black hero everyday. Show some love to someone everyday. As I write this I had to smile because if my mother was still alive she would be looking at me right now with scorn. Anyhow, great discussion. I don't know how to separate out another blogger's opinion other than this way: Troy you stated "Tearing down statues is not going to change the minds of racists". I think you make a good point. I see tolerance as a way toward changing minds. I personally know a young white man whose parents raised him as a white supremacist. When I met him he was about 21. We would see each other from time to time in a discussion group. I watched him change. He came to realize that people were just people. None of them were better than or less than. It was like watching his face light up. That was something he came to realize through contact, through attraction. Through being a part of a group of people who expressed love for their follows. As for me, I seem to be of an opinion that no one else has. In 1998 I went to Manassas, VA. Had no idea where I was. I went to attend job training. Some of the men took me on a tour of the Manassas Battlefield National Park. (The Battle of Bull Run 1861). Stonewall Jackson Monument. They pointed out the hill that the soldiers fought on. After about 1/2 hour I said to them, you know, I'm not really interested in picturing men shooting and stabbing each other, also how come there aren't any statues of Black men here? There must have been some Black men fighting too!! Why are they not represented? Of course my escorts laughed heartily and the tour ended. But I realized that I was not offended by the statue of a white confederate, only that there was nothing to commemorate the Blacks who were a part of this history. Something that I failed to fully grasp at that time was that there was an old worn out, burned out building on those grounds that was at one time the home of a free Black. The house sat right where the battle raged. The Robinson House. It was not burned out in the war. But vandalized in the 1990's. Anyhow one can still visit the site. This site of the house the surrounding property makes up an important part of the battlefield park today. And THAT is what I'm talkin' about. Read about it. I have only this week realized the significance of this house. I am in the process of writing an article (per my publisher) for Huff Post and I am going to write about using our energies to raise awareness of Black progress, rather than using our energies to tear things down. Tearing statues down is not going to erase the reality. Ok, so this is my opinion that I am learning to put out there without fearing what might be thrown back at me. Oops, I forgot. As a child At 66th street school in Los Angeles, I learned to salute the flag and respect the flag. That stuck with me a long time as an American citizen. I know more now as an adult, but I still respect the flag as an emblem of the United States. I wouldn't burn it for instance. I see it as the only flag. Haha. Troy, Yes, my father is Eddie Green. He and "Rochester" (Eddie Anderson) were friends. My father was on one or two Jack Benny programs with "Rochester". And "Rochester" was on a couple of Duffy's Tavern shows where my father portrayed Eddie, the waiter which was a major character in the program much like the "Rochester" character. As a matter of fact one of the newspaper headlines read "Eddie Green and "Rochester" Steal the Show". Troy you used the word "seminal". My father, Eddie Green, was a seminal figure also in regard to his role as Eddie the waiter in Duffy's Tavern. I think, though, that because he died in 1950 his name and memory faded. My mom sold everything she could including films, scripts, his television studio. And I am trying to bring Eddie's name to the fore of people's minds. Because he did work with people like Louis Armstrong, Eddie Anderson, James Baskette, Lena Horne. Btw, Rochester was a friend of the family and his son still lives in Los Angeles. Also fun fact: My father, Eddie Green, auditioned for the part that Eddie "Rochester" Anderson got in GWTW. So Eddie Green is big stuff, too. I have my Blog: www. pininthetush.com, I believe you have checked it out. And thanks for adding the interview!! Troy, when I sign in to your fanpage on Facebook I see this pinned to the top: I'm signing off social media for good. If you would like to reach me my email address is troy@aalbc.com (from March) Then I see more posts you have made in July. In my Facebook page I only typed in aalbcfanpage (as opposed to the link you shared when askig for feedback) and your site was first on the popup list. Hopefully I will remember that I sent this message to you and I will remember how to get back to see if you replied. I seem to have a problem with finding the threads I was in. I am probably the one missing something. This technology boggles my mind. I am trying to set up my site (pininthetush) or a site where I can post speaking engagement dates, testimonials, reviews, links to my publisher on the landing page. Can I do that on my AALBC url?, which I just recently realized I had. Something like chopeclark.com's website (just an example). I will look into finding a different "design" for the .com I now have. Thank you for taking the time to help me out here. As a newbie writer, I am still trying to wrap my head around selling books to Black audiences. My book published in July 2016. I went to the most prominent Black bookseller in our city and before I could finish introducing myself the owner told me "I am not interested." I was trying to figure out a polite way to ask why when he said "And I am not going to answer any questions about why." Besides the fact that I was crushed, personally, I was surprised to be turned away so abruptly. Possibly booksellers like this man could be a part of the problem for Blacks who want to sell books. My book is on Amazon. As a person who has written a book, that's good for me. As a new writer who happens to be Black, I wanted my book to be inspirational to many people, but I chose to begin my marketing strategy by approaching a Black owned book store. Bad idea! So how can I be a part of the solution? I am thinking of submitting an essay to a new upcoming Newsletter dealing with these types of issues. Perhaps that will help. OCTOBER 27, 2016 FOR IMMEDIATE RELEASE CONTACTS BOOKS@BENOHMART.COM ELVAGREEN123@OUTLOOK.COM Elva Green, Daughter and Biographer of Eddie Green, Legendary Black Filmmaker, Movie Star, Old Time Radio Icon, and Composer, In Person at Book Soup Albany, Ga. – BearManor Media announces Elva Green appearing at Book Soup in West Hollywood for the release of Eddie Green The Rise of an Early 1900s Black American Entertainment Pioneer by Elva D. Green. A good man is hard to find, as the famous 1919 song by Eddie Green attests, but the pioneering Black filmmaker, movie star, Old Time Radio icon, and composer established himself as the living portrait of all that is admirable. His legacy now inspires a whole new generation. 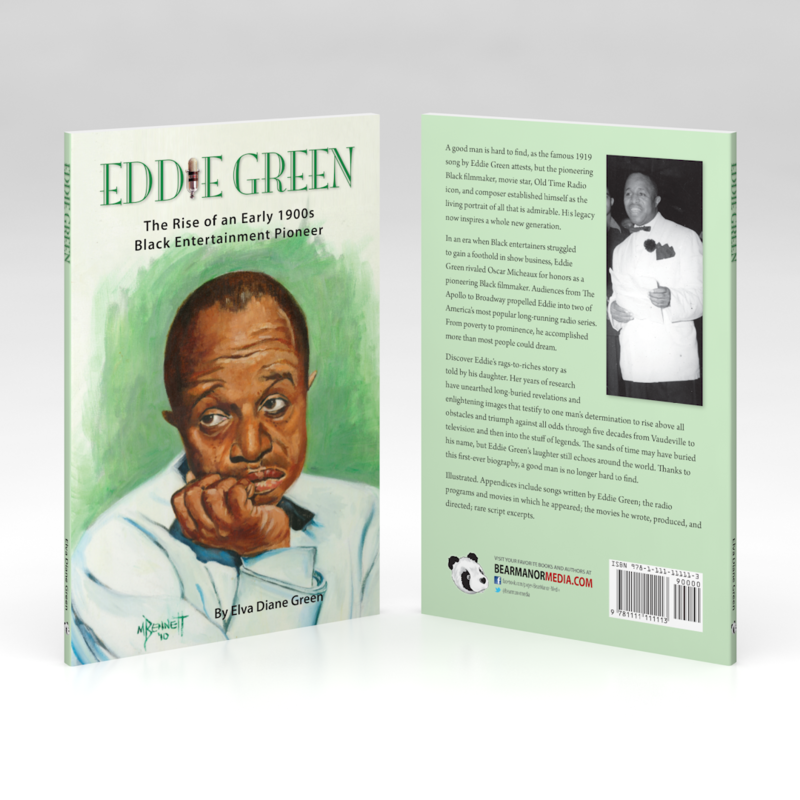 Discover Eddie’s rags-to-riches story as told by his daughter, Elva Green. Her years of research through major archives have unearthed long-buried revelations and enlightening images that testify to one man’s determination to rise above all obstacles and triumph against all odds. See him through the eyes of the press as he journeys through five decades from Vaudeville to television and then into the stuff of legends. Ms. Green will be signing her book at Book Soup in West Hollywood on November 9, 2016 at 7:00PM PST. Book Soup is located at 8818 Sunset Blvd., West Hollywood, California. In an era when Black entertainers struggled to gain a foothold in show business, Eddie Green starred in a silent movie, starred in one of the first Vitaphone talking pictures in 1929, starred on Broadway, headlined at The Apollo, appeared memorably in two of America’s most popular long-running radio series, and rivaled Oscar Micheaux for honors as a pioneering Black filmmaker. From poverty to prominence, Eddie accomplished more in his short life than most people could dream. Talent and desire propelled Eddie on stage, over the air, and into films with Louis Armstrong, Lena Horne, Hattie McDaniel, Thomas “Fats” Waller, Jackie “Moms” Mabley, and James Baskette (Uncle Remus in Walt Disney’s Song of the South), Eddie “Rochester” Anderson, and Louise Beavers. His close friends included Adam Clayton Powell, Jr., Mantan Moreland, Attorney Walter L. Gordon, Jr. (attorney for Billie Holiday), Clarence Muse, and Maria Cole (Nat Cole’s wife). Eddie’s “A Good Man is Hard to Find” was recorded by Marion Harris, Sophie Tucker, Bessie Smith, Louis Prima, Cass Daley, Frank Sinatra, and many others. The sands of time may have buried his name, but Eddie Green’s laughter still echoes around the world. Thanks to this first-ever biography, a good man is no longer hard to find. Illustrated with rare photos, many unpublished. Appendices include songs written by Eddie Green; the radio programs and movies in which he appeared; the movies he wrote, produced, and directed; rare script excerpts featuring him in his most famous roles as Eddie The Waiter on Duffy’s Tavern and as Stonewall The Lawyer on Amos ‘n’ Andy; and excepts from Jubilee radio programs. ##### Available exclusively from BearManor Media in hardback and paperback editions, and soon to be released in an ebook edition. About BearManor Media: The award-winning and Pulitzer-nominated press publishes cutting-edge entertainment books, audio books, e-books, CDs, and DVDs on movies, television, radio, theater, animation, and more. Founded in 2001 by Publisher Ben Ohmart, the BearManor Media catalog now features more than 900 outstanding subjects from the obscure to the eminent. For High Resolution Images, review copy PDF, or more information, contact the publisher at books@benohmart.com. Visit www.bearmanormedia.com for our print editions. Visit Selz.com for our ebook editions: https://bearmanormedia.selz.com/ Also soon to be available on Amazon.com and other online booksellers.